A popular vegan YouTuber is defending herself after fans caught her eating meat. Yovana Mendoza Ayres, 29, known as Rawvana online, was spotted with a plate of fish in another vlogger's video and tried to awkwardly cover her plate when the camera panned to her. Fans lost it after she was seen eating meat and she is now infamous for faking veganism. The platform she spent years building has quickly been falling apart in a matter of days and the outrage prompted Ayres to post a 33-minute video Friday addressing the incident. So who is Yovana Mendoza Ayres and how is she defending herself after she reportedly ate meat? Here's what we know. 1. She's a very popular vegan YouTuber. Ayres runs a vegan YouTube account with over 1.9 million subscribers. Her main channel is in Spanish, but she also has an English channel with over 467,000 subscribers. Her Instagram boasts more than 1.3 million followers. 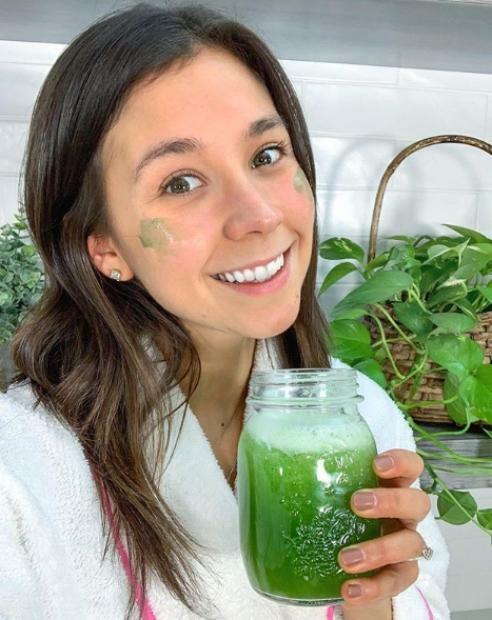 She promotes healthy, vegan recipes, vegan makeup products, vegan skincare routines, and more in her videos and is known for her dedication to veganism. Her website says her goal is to help others "transform your life" and "reveal your authentic self." 2. She was not ready to go public her diet change. In her latest video, Ayres defends her decision to keep her diet change from her fans. According to the formerly vegan YouTuber, she has been struggling with her health for some time now and her doctor suggested she alter her diet to incorporate meat. Ayres started by apologizing for how her fans found out about her lifestyle change but said she wanted to wait to tell her story until she was ready. She told Buzzfeed that her "intentions are and always have been good" but that she did not feel comfortable yet addressing the fact that she is no longer vegan. "I wanted to make sure this is something I really had to do, and would really make me feel better before sharing it publicly," she said. 3. She began eating meat for her health. Ayres adopted a completely vegan lifestyle six years ago and although she loved it, she has had her fair share of health complications related to her vegan diet. In her video, she explains that doctors recommended she add eggs and meat to her meal plan for her own health, which she began doing about two months ago. Eating eggs and fish improved her overall health, she said. 4. She didn't tell her followers about her change. After her diet change was unveiled, Ayres' fans and followers noted that they were upset because they felt she lied and deceived them. But she was just trying to focus on her body's needs. Ayres felt it was best to wait until she figured out what worked best for her before she went on to tell her following about the news. “I kept it from my followers because I was still not ready to speak about it and I was still on my trial period for this diet," she told Yahoo Lifestyle. "After being plant-based for a little over 6 years, it was a difficult decision for me to make and an even more difficult decision for me to communicate with everyone." 5. The ridicule only grew. Despite explaining her situation in a lengthy video Friday, people continued to call her out and leave comments criticizing Ayres. In fact, the outrage grew following the clip. Some have begun using the hashtag "#fishvana" to address the YouTuber and others are threatening to "cancel" her. Many aren't convinced Ayres' explanation is genuine and are pointing out inconsistencies in her timeline. People have accused her of being off a vegan diet for a while and lying about her lifestyle to fans. "I'm not mad at the fact that you're eating fish. I'm mad at the fact that you're lying to all your followers and making money off of them claiming to be a raw vegan," one user wrote on Twitter. "Eat whatever you want, just don't claim to be something you're not." Ayres is trying to stay positive in the midst of all the hate. "I’m listening to my body and learning to adapt to eat without self-judgment towards myself and others," she told Buzzfeed. "It makes me sad to see so much hate on the internet." 6. She still promotes a vegan lifestyle. Although she is no longer fully vegan, Ayres told BuzzFeed she "was and still advocates" for that lifestyle. "I do feel this diet has incredible benefits, and the vegan lifestyle brings a greater awareness to the way we live our life that we can all learn from and grow," she said. Ayres said she is taking some time to herself to understand her new lifestyle at this time. "When I’m ready, I plan to share my recovery journey with the public...the good, the bad, the doubts, and everything in between," she said. Ayres has no idea where her new lifestyle will take her, especially regarding her vegan-based channel.